Meet two chirpy best friends who are always running into adventure, whether they’re hunting for dinosaurs or meeting ghosts in the school bathroom. From the moment they saw each other, Bean and Ivy knew they would NEVER be friends. But then Ivy helped Bean out of a sticky situation – and it wasn’t long before the pair decided to stick together for good. These best friends might seem like polar opposites, but Ivy and Bean are proof that opposites attract! 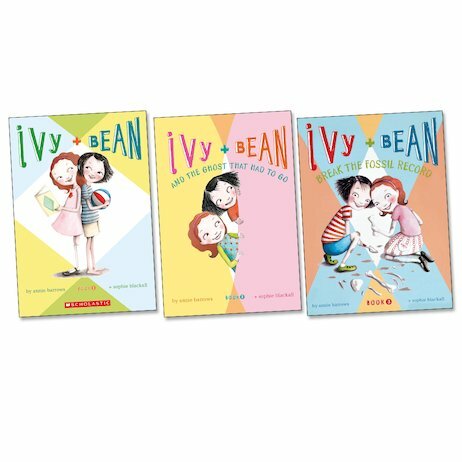 This set of the first three books starring these much-loved pals serve as the perfect introduction to the wonderful world of Ivy and Bean. Don’t miss another minute of their sensational adventures!